The first shows of ‘Mufti’ started as early as 5 AM in Bengaluru and have been receiving positive response from viewers and critics too. 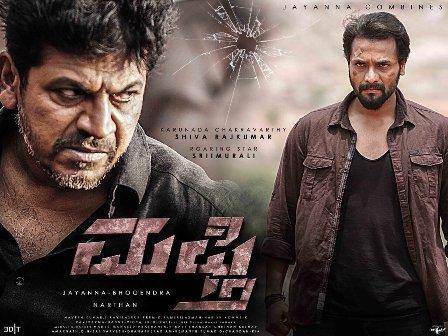 Kannada film ‘Mufti’ staring Shiva Rajkumar, Sri Muralii and Shanvi Srivastava released today worldwide and has been receiving positive reviews from all around. ‘Mufti’ has Shivanna and Sri Muralli playing lead roles and is said to be an action entertainer. Produced by Jayanna and Bhogendra, ‘Mufti’ is directed by Narthan and will be the first time that the actors Shiva Rajkumar and Sri Muralli will be collaborating. The first shows of ‘Mufti’ started as early as 5 AM in Bengaluru and have been receiving positive response from viewers and critics too. Here’s a look at reviews posted by few netizens on social media about the film ‘Mufti’ starring Shiva Rajkumar, Sri Muralli and Shanvi Srivastava. Chakravarthy #Shivanna Steals The show.